They used to sit on the grass, now they sit on chairs & the tradition continues! 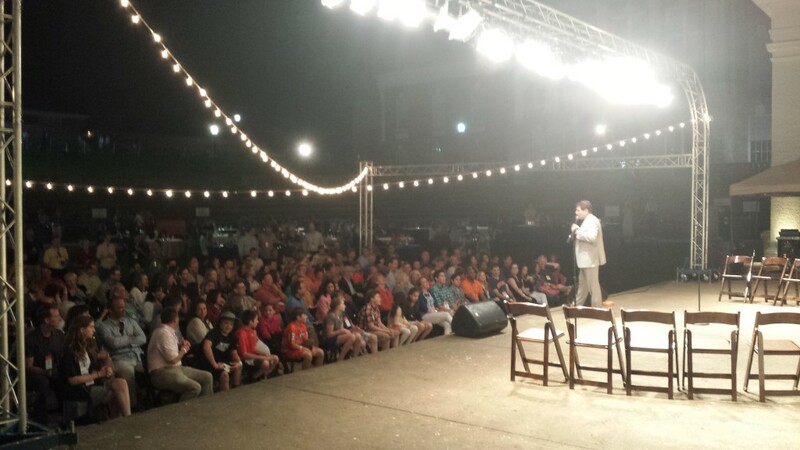 U.VA alumni came back to the McIntire Amphitheatre last weekend to make new memories at the 2015 Reunion. 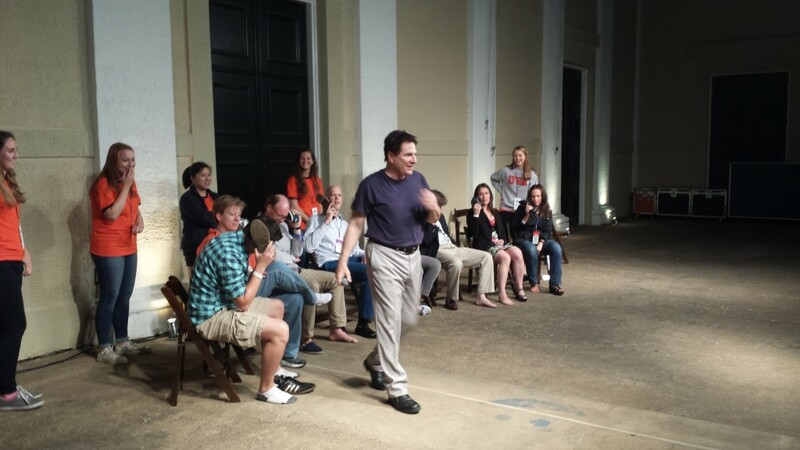 Business professionals, doctors, lawyers, educators — you name it, they all came to the amphitheatre see their friends get hypnotized or to volunteer themselves. This is an event that I enjoy as much as they do. Plus, I’m happy anytime I can get to Christian’s Pizza on the downtown mall in C’ville. Not been? Go!! ← ‘fun isn’t a dirty word’ – yesss!